As much as my son is loving his ground pork with sweet potatoes, I like to feed plant-based protein packed meals too! Red lentils are super easy to prepare for baby because they will actually fall apart while cooking. Besides being packed with protein, red lentils contain fiber, calcium, iron, potassium, and folate. Butternut squash is a great flavor compliment and is an excellent source of Vitamins A and C.
Read on for my easy recipe! For convenience, I used frozen, organic Butternut Squash which I found at Whole Foods. See my notes at the end of the post about substituting fresh squash. Add red lentils and water to a pot. Bring to a boil and lower heat to simmer uncovered for 20 minutes. After 20 minutes, the lentils should be falling apart but there should still be some liquid in the pot, kind of like a thick soup. Add the butternut squash chunks and increase the temperature until the pot is simmering again. Reduce heat to low, cover the pot, and let the squash cook for 10 minutes. Use a spatula (my Chef Stir silicone spatulas are no longer available on Amazon, here is a similar choice) or even a potato masher! to break up and squish the squash pieces. You can stop here and feed the food as is. Lucas has been really picky about textures so I used my immersion blender to smooth it out a little more. I filled a few 4 oz glass jars and froze the rest into cubes in my freezer trays. The Butternut Squash is the filler/binder in this recipe. You could use sweet potatoes, potatoes, or other squash (such as acorn) instead. If using a fresh option (or fresh butternut squash) just cook the potatoes or squash first (roast in the oven or steam on the stove top) until tender and then add to the lentils at the end of the cooking time once the lentils have fallen apart in the pot. 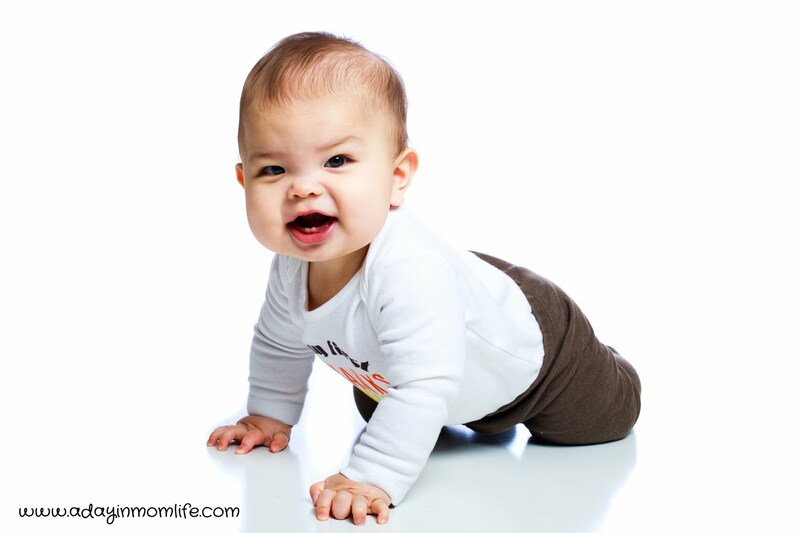 To bump up the flavor for an older baby, try adding a dash of ground cumin! 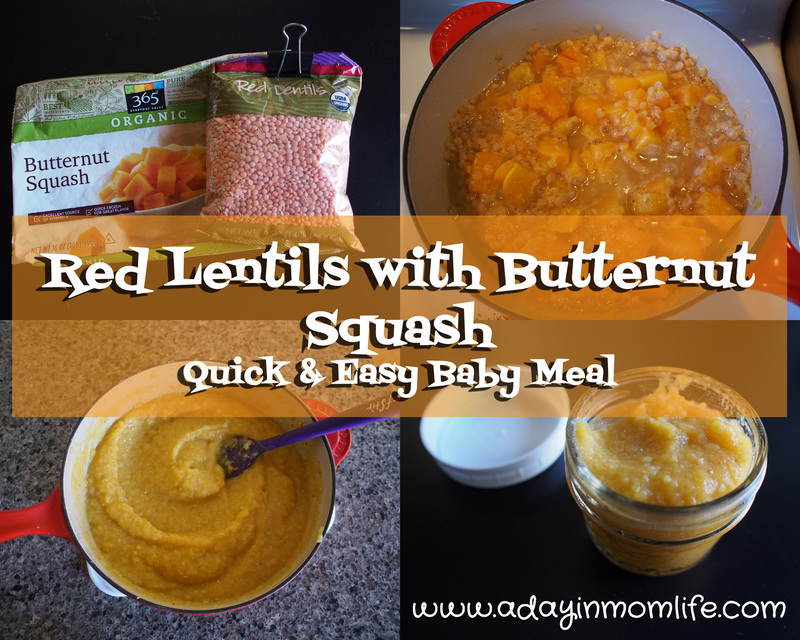 To make a 3-4 oz meal - you can feed just the lentils/squash as it is delicious on its own! But I typically use 2 oz lentils/squash and add a veggie or fruit cube. Carrots, apples, or pears all combine nicely. To make a super filling meal, you could also add 1-2 oz prepared brown rice, barley, or oatmeal. Find my other Baby Food Posts here! He looks so cute in that picture! This sounds delicious :) We ate red lentils (cooked with coconut milk and spices) for lunch yesterday. I agree, it's such a great choice for babies, since the lentils basically turn into mush on their own anyway lol. Thanks, he is growing so fast! This is one of his favorite meals now! I've tried a bunch of combos, he liked it mixed with my peach/mango puree too. I am a big fan of red lentils and used to make dal all the time with them. My husband is not a fan though, he claims they are too mushy of a texture for him lol...but yes perfect for baby!